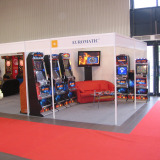 EUROMATIC is a thriving company on the market of entertainment machines since 1996. 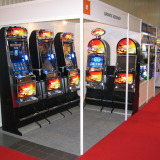 We take care of renting, servicing, selling and manufacturing gaming machines. We also offer a wide range of sub-assemblies and spare parts. 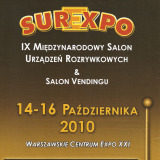 In accordance in the act from 30 June 2000 – Industrial Property Law (Journal of Laws of 2003, No 119, text 1117 and of 2004, No 33, text 286): “EUROMATIC”, is a Registered Trademark. PPO number: 216331, also O H I M – Office For Harmonization In The Internal Market – Trade Marks And Designs, registered No 007177521.